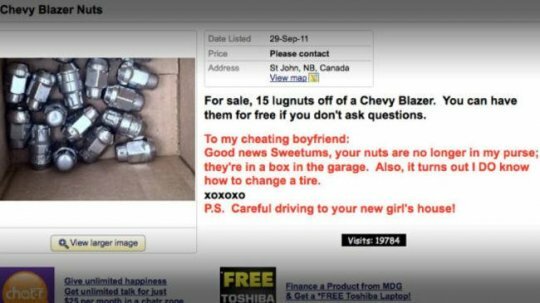 13 Times Some Serious Revenge Was Taken After Getting Dumped. Breakups leave you depressed and broken. Seeking revenge that he/she remembers all their life from an ex is the best way to overcome the memories. Here are some exclusive ways of attack for you to choose from if you recently faced a terrible breakup and you are looking for means to survive it. 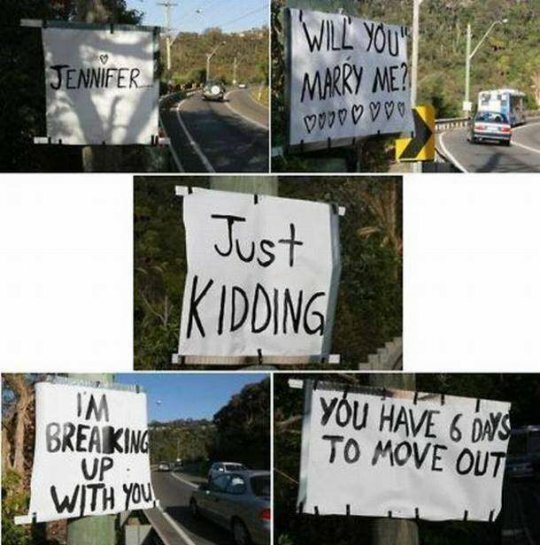 #1 - Shatter your ex with shocking placards on her drive back home from the office. You can get offensive and embarrassing posters and paste it along the road leading to her home from the office. You can bet how disgusting it is seeing her name in a shocking revelation. 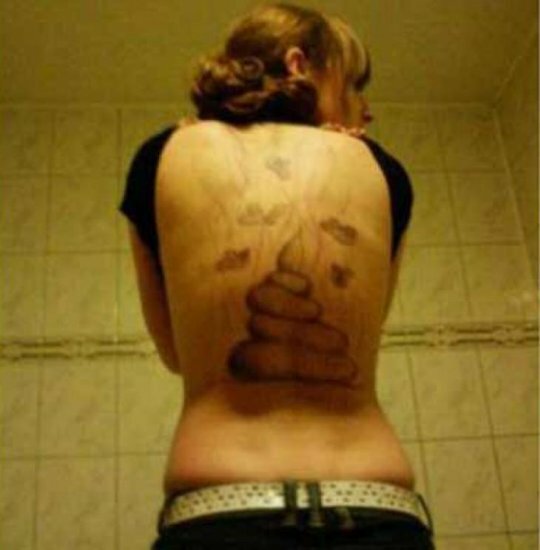 #2 - Using your gross tattoo to offend your ex. Gross tattoos are hideous and disturbing tattoos that tend to piss off or disturb anyone seeing it. Having this tattoo on any part of your body he sees at all time will surely piss your ex and a very sweet revenge for cheating. 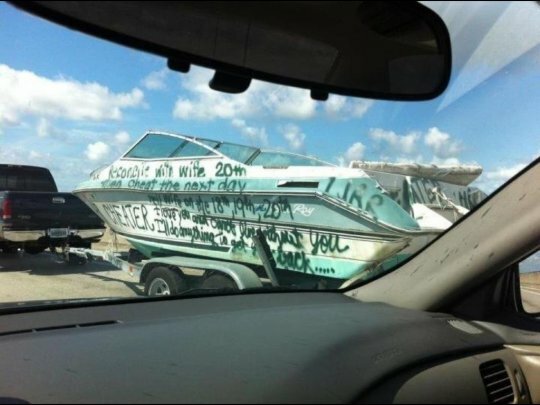 #3 - Use of permanent marker to mess up his/ her luxurious possession. Imagine your ex-has a helicopter, a private jet or a very costly car and you use a permanent marker to mess it all up, writing all form of dirty things he has done! 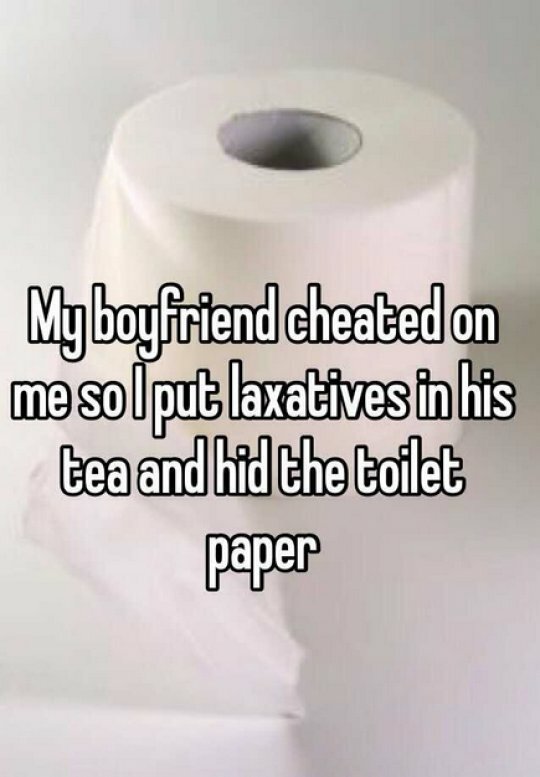 #4 - Adding laxatives in his tea and hiding the tissue paper! Laxatives are substances that increase bowel movement and loosen stool. Adding this to his tea, then keeping all the available tissue papers is an excellent revenge, isn't it? 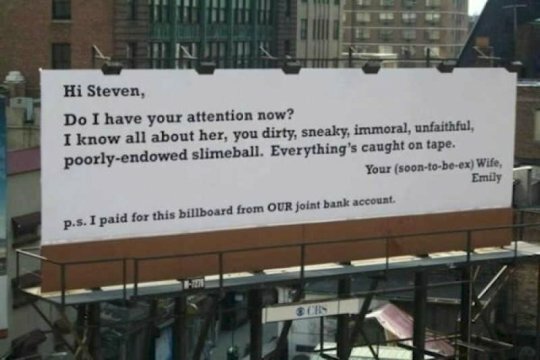 #5 - You can opt for a Big billboard visible from your ex's office window. A giant billboard of which the wordings he can see clearly from his office window is another way of revenge!. There you can send him awful messages of his cheating behavior. 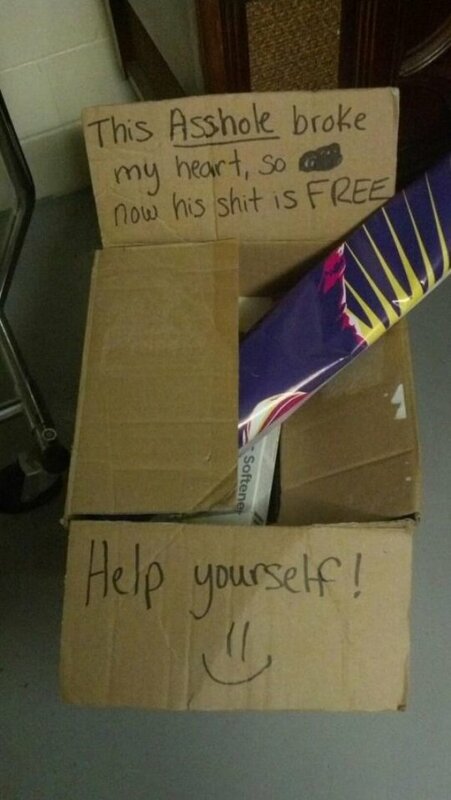 #6 - Disposing of some belongings of your ex in a rude but classy way. What about packing some of your ex's belongings into the street for charity, FREE FOR ALL. 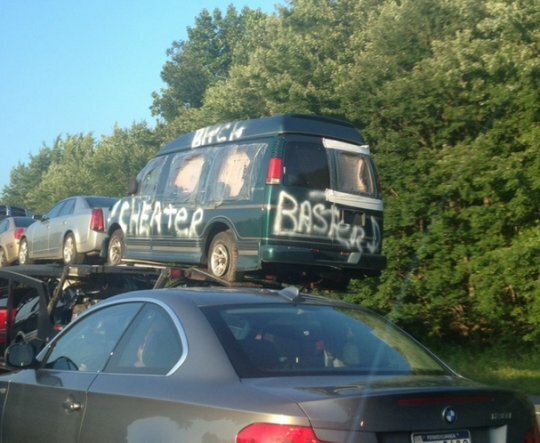 #7 - Write all abusive and vulgar words on your ex's car. Or inscribing all vulgar and insulting words on your ex's car could be your perfect revenge for dumping you. #8 - Also, you can exhibit your creativity right in revenge. 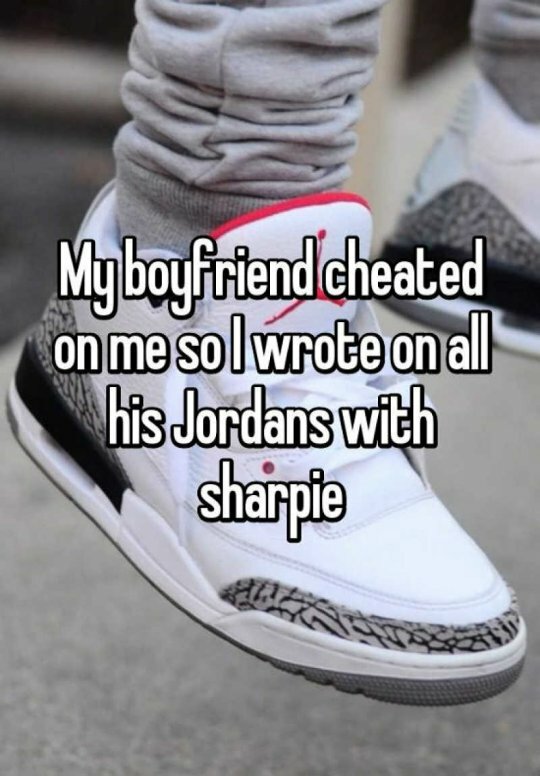 Say with a sharpie, you can write on your boyfriend's expensive sneakers. #9 - Try something filthy. 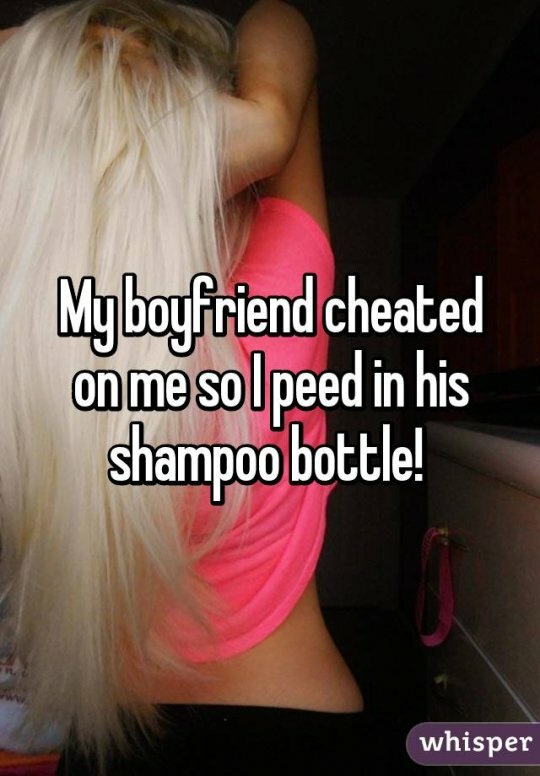 Something nasty like peeing in his hair shampoo could calm your nerves as a big revenge for a cheating boyfriend. #10 - You can scare the hell out of your ex. 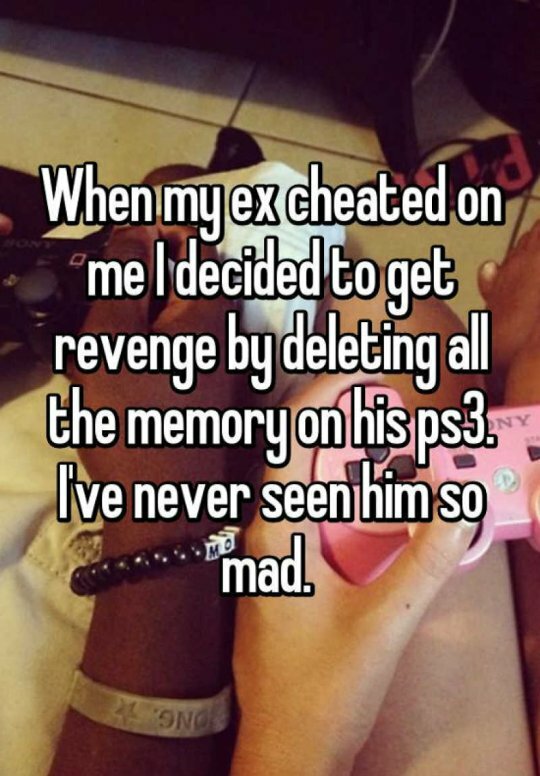 If your ex is an ardent lover of ps3 or other games, you can simply delete all the memory on the game!. 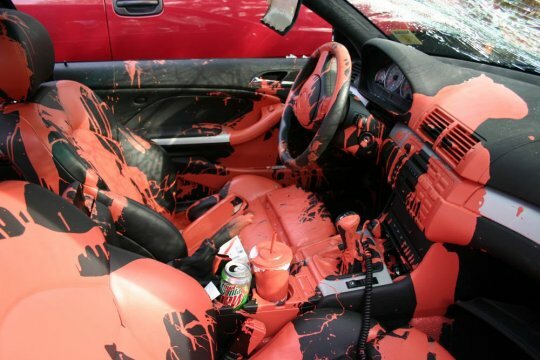 #11 - Spray paint inside of your ex's car. Car colors that are supposed to be on the outside body could be sprayed in your ex's car as a form of revenge for cheating on you! #12 - Or you can bang the car of your ex and leave a revenge note inside. 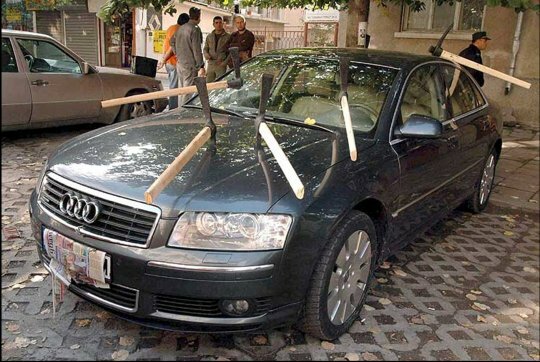 You can seek revenge by using Hockey sticks, dagger and sorts of dangerous implements to hit your ex's car and leave a note behind. #13 - Try to be in his mind at all time if you can't be in his heart. As your revenge, you can post on a classified ads website anything for sale and put his contact details as the seller. Include on it your attack message.